I’m gluing Manson Family updates to the top of the post as they become available. Leslie Van Houten, pictured here at 19 years old, a member of Charles Manson’s “family” who was convicted of the murders of Leno and Rosemary LaBianca, is escorted by two deputy sheriffs as she leaves the courtroom in Los Angeles, Dec. 19, 1969 after a brief hearing related to the case. LOS ANGELES — A judge Friday denied a petition challenging Gov. Jerry Brown’s decision to reverse a state parole board’s recommendation of parole for former Charles Manson follower Leslie Van Houten, who was convicted of the 1969 murders of grocers Leno and Rosemary La Bianca at their Los Feliz home. Van Houten’s appellate attorney, Rich Pfeiffer, has vowed to continue to fight for Van Houten’s release. He said he plans to ask a panel from California’s 2nd District Court of Appeal to intervene. Van Houten, now 68, was convicted of murder and conspiracy for participating with fellow Manson family members Charles “Tex” Watson and Patricia Krenwinkel in the Aug. 9, 1969, killings of Leno La Bianca, 44, and his 38-year-old wife, who were each stabbed multiple times. The former Monrovia High School cheerleader and homecoming princess did not participate in the Manson family’s killings of pregnant actress Sharon Tate and four others in a Benedict Canyon mansion the night before. At a hearing in a downtown Los Angeles courtroom last summer, a woman who once lived at a ranch with Manson testified that Van Houten was “extremely docile” before the killings and that she believed Van Houten would have done anything the cult leader asked. Catherine Share’s testimony came during an Aug. 31 hearing to present mitigating evidence now allowed under state law because Van Houten was 19 at the time of the killings. Last September, a parole board panel again recommended that Van Houten be granted parole. But the governor reversed the recommendation, finding in January that she “has not wholly accepted responsibility for her role in the violent and brutal deaths” of the La Biancas. Manson — who died last November — and many of his other former followers have repeatedly been denied parole. Leslie Van Houten, the youngest of Charles Manson’s murderous followers, was recommended for parole Wednesday by a state panel that concluded she has radically changed her life during the more than 40 years she has been in prison for two brutal murders she helped commit 48 years ago and is no longer a threat to society. The two-member panel’s ruling must still be approved by the state Parole Board and Gov, Jerry Brown, who reversed another panel’s ruling last year. In blocking her release then, Brown said Van Houten had failed to adequately explain to the panel how a model teenager from a privileged Southern California family who had once been a homecoming princess could have turned into a ruthless killer by age 19. On Wednesday, the panel grilled her for two hours on how she could address those concerns. “I’ve had a lot of therapy trying to answer that question myself,” she said. “To tell you the truth, the older I get the harder it is to deal with all of this, to know what I did, how it happened,” added Van Houten, now a frail-looking 68-year-old who appeared before the panel on crutches, her gray hair pulled back in a bun. She went on to say that she was devastated when her parents divorced when she was 14. Soon after, she said, she began hanging out with her school’s outcast crowd in the Los Angeles suburb of Monrovia. She started smoking marijuana and graduated to LSD at 15. When she was 17, she and her boyfriend ran away to San Francisco’s Haight-Ashbury District during San Francisco’s summer of love. When they returned, she said, she discovered she was pregnant. When her mother found out, she ordered her to have an abortion and bury her fetus in their backyard. Soon after, she was traveling up and down the California coast, trying to find peace within herself when acquaintances led her to Manson, who was holed up at an old abandoned movie ranch on the outskirts of Los Angeles where he had recruited what he called a “family” to survive what he insisted would be a race war he would launch by committing a series of random, horrifying murders. His disaffected youthful followers became convinced that the small-time criminal and con man was actually a Christ-like figure and believed him. As she did at her parole hearing last year, the soft-spoken Van Houten went on to candidly describe how she joined several other members of the “Manson Family” in killing Los Angeles grocer Leno La Bianca and his wife, Rosemary, in their home on Aug. 9, 1969, carving up La Bianca’s body and smearing the couple’s blood on the walls. 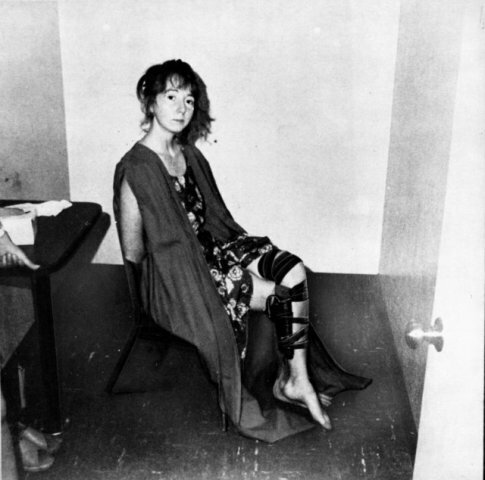 She was not with Manson followers the night before when they killed pregnant actress Sharon Tate and four others during a similar bloody rampage. On the night of the second attack she said she held Rosemary La Bianca down with a pillowcase over her head as others stabbed her dozens of times. Then, ordered by Manson disciple Tex Watson to “do something,” she picked up a butcher knife and stabbed the woman more than a dozen times. “I feel absolutely horrible about it, and I have spent most of my life trying to find ways to live with it,” she added quietly. Relatives of the La Biancas didn’t believe her. They spoke emotionally as they pleaded with the commission to reject her parole bid. The voice of the La Biancas’ oldest grandson, Tony LaMontagne, broke as he noted he’s about to turn 44, the same age his grandfather was when he was killed. “Please see to it that this fight doesn’t have to happen every year for the rest of our lives,” he said of Van Houten’s nearly two dozen parole hearings. Family members left before the panel announced its decision. In reaching it, Parole Commissioner Brian Roberts and Deputy Commissioner Dale Pomantz said they took into account Van Houten’s entire time of incarceration. During those years she has earned bachelor’s and master’s degrees in counseling, been certified as a counselor and headed numerous programs to help inmates. “You’ve been a facilitator, you’ve been a tutor and you’ve been giving back for quite a number of years,” Roberts said. Still, he warned her that if she is released that living in society again will not be easy. He noted parole officials have heard from “tens of thousands” of people who don’t want her released. But others, he added, including many who have known her since childhood, spoke up for her, saying they’ve seen her mature in prison and become a different person. “So with that we’d like to wish you good luck,” he said. “Thank you very much, I really appreciate it,” replied Van Houten, who attended on crutches because of a knee injury suffered in a recent fall. She said her health is otherwise fine. Afterward, her attorney, Rich Pfeiffer, said he believes Van Houten addressed the concerns the governor had when he denied her parole last year. “My hope is he’s going to follow the law and let his commissioners do their job,” he said. He added his client was relieved by Wednesday’s ruling, adding he believes she will be released eventually. “I’m getting her out of here. That’s not an issue. The question is when,” he said. No one who took part in the Tate-La Bianca murders has been released from prison so far. 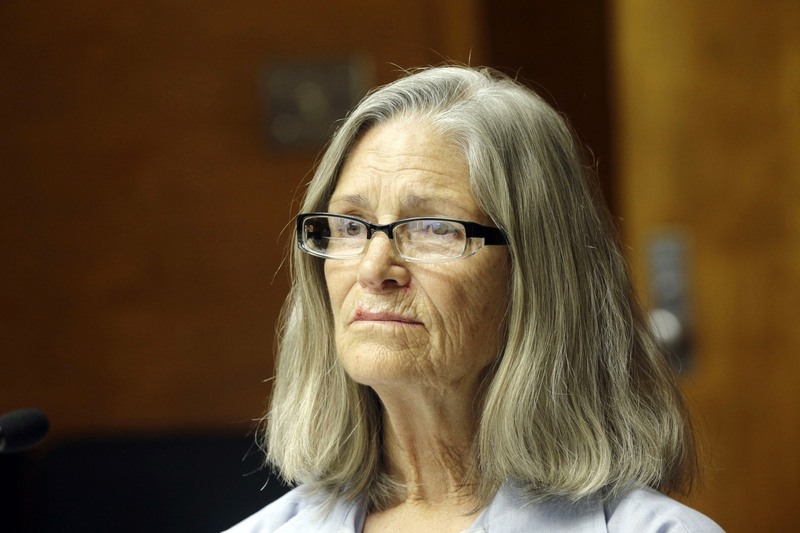 Van Houten has been in prison for more than 40 years for her role in two brutal murders committed by disciples of Charles Manson. CHARLES Manson is closing in on death’s door, a source familiar said on Monday. “I don’t think he’ll be around too much longer, but he is able to talk in his current condition,” the California Corrections Department source told the New York Post, referring to the infamous cult leader’s health crisis. Last week, Manson, 82, was taken out of Corcoran State Prison in California’s Central Valley and rushed to a hospital in Bakersfield about 100km away for emergency surgery to stop his intestines from bleeding, sources told The Post. But doctors decided not to perform the procedure because they believed that Manson was “too weak” and could potentially die while under the knife, TMZ reported. Gurecki posted one of his alleged calls with the notorious Manson Family leader to YouTube on Sunday. 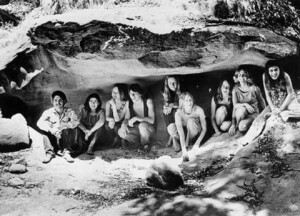 LOS ANGELES – The LAPD on Thursday announced it has open investigations on a dozen unsolved homicides near known Manson Family hangouts around Los Angeles. The revelation came amid a legal battle to obtain hours of audio tape recordings between former Charles Manson follower and convicted murderer Charles “Tex” Watson and his lawyer. Former Charles Manson associate Bruce Davis, who was convicted of murdering two men, has been recommended for parole, KTLA.com reported. Bruce Davis, formerly a follower of Charles Manson, has been recommended for parole after 40 years in prison. During that time, he received a master’s degree in philosophy and religion, which factored into the parole recommendation. The California Parole Board recommended parole for Bruce Davis, 69, at his 27th parole hearing, finding that during his 40 years in prison he had a record of good behavior and had earned a master’s degree in philosophy and religion through a correspondence course. Next week convicted killer Charles Manson is set for his 12th chance before the parole board, but so far the notorious inmate informed Corcoran State Prison officials that he is not planning to attend. Corcoran State Prison spokeswoman Theresa Cisneros said so far Manson has said that he will not be showing up for his parole hearing but as is allowed he could have a last-minute change of heart. An attorney for Manson, however, is expected to attend, Cisneros said. It could be his final chance at freedom as the state board under Marsy’s Law can now deny parole for up to 15 years. 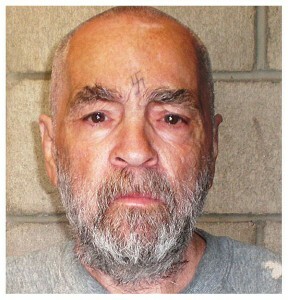 Manson is now 77. Manson refused to participate in his last parole hearing, in 2007, describing himself as a “prisoner of the political system.” He also declined to participate in any psychological evaluations that were part of that process. He and other members of his so-called family were convicted of killing actress Sharon Tate and six other people during a bloody rampage in the Los Angeles area during two August nights in 1969. He is housed in a special unit for inmates felt to be endangered by other inmates separated from the general prison population. Twice in the last few years, guards at Corcoran State Prison said they found phones in the notorious killer’s possession. Manson called people in California, New Jersey and Florida with an LG flip phone found under his prison bunk in March 2009, The Times reported in 2011. A second cellphone was found a year later. Thirty days were added to his sentence for the first offense, officials said. Earlier, a homemade weapon was found in his possession. Despite the prospect that Manson will be absent, the Los Angeles County District Attorney’s office said it would vigorously oppose Manson’s release. “We consistently [opposed parole] and will continue to do so,” spokeswoman Sandi Gibbons said. “In part it may have been those letters that convinced Melanson and Hernandez to deny her request. Melanson, speaking for the board, stated that she didn’t feel that Krenwinkel understood that her actions and those of the Manson followers in general had shaken people all over the world, and that they continue to have resonance even 40 years later. 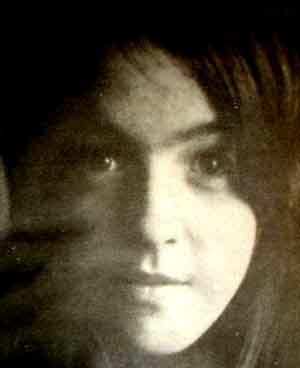 Krenwinkel tried to blame her actions on her love for Manson and search for his approval, but Melanson and Hernandez appeared unmoved by her attempts at justification. The following is a YouTube video (Part one of LA-TV2’s interview with Michael Brunner,) from around 1995. 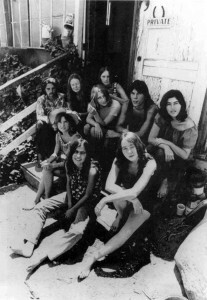 The video includes clips of Michael Brunner – Manson’s son with Mary Brunner. Depending on the source, Charles “Tex” Watson” is reportedly the father of 3 – 4, or more children. Just a guess, but I’m thinking that there must be more 2nd and 3rd? generation extended family members “out there,” maybe someone reading this post…Imagine what it’s like, trying to live a life under the dark, black cloud which certainly must accompany that level of infamy. The “Manson Family’s” offspring surely are victims as well as those whose lives were destroyed by the original craziness: the murder victims and their extended families. Come to think of it, we’re all victims. Read the first homicide investigation report of August 9th, 1969 – 5 victims at 10500 Cielo Dr. in Los Angeles: ABIGAIL ANNE FOLGER, WOJCIECH FRYKOWSKI, STEVEN EARL PARENT, JAY SEBRING and SHARON MARIE TATE-POLANSKI. In Native American and early Colonial times, the Full Moon for January was called the Full Wolf Moon. It appeared when wolves howled in hunger outside the villages. Aooooooo! Traditionally, the January Moon is also known as the Old Moon. To some Native American tribes, this was the Snow Moon, but most applied that name to the next Full Moon, in February. See all Full Moon names and their meaning.